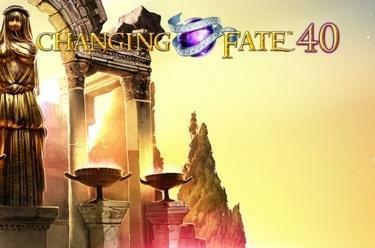 Play Changing Fate™ 40 online for free now! In the slot Changing Fate™ 40 you wrestle the strongest fighters for the best Twist wins on 5 reels with up to 40 pay lines. The fighter symbol gives you the greatest support because it earns you the biggest wins. Your aim in Changing Fate™ is to line up 5 matching symbols along one of the win lines. All 40 pay lines run from left to right across the reel set. The purple glass ball acts as a Scatter symbol and is particularly profitable: it grants you up to 80 free games with Changing-Fate-Bonus when it appears at least 5 times from left to right in any reel position. The number of free games depends on the number of triggering Scatters. 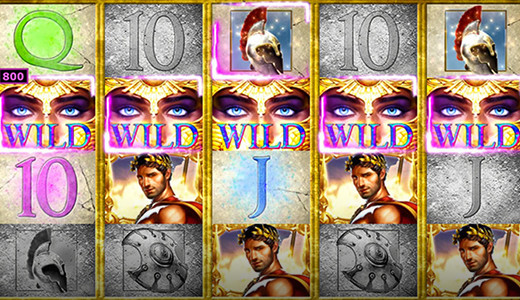 Moreover, the Wild symbol can act as a substitute for all other symbols (except for Scatter) and increase your winning odds! The Changing-Fate-Bonus is used during free games: Grey coins labelled "CF" land on the reels that will be uncovered following a spin and subsequently show stacked symbols. You can earn further free game rounds with more Scatters! Nobody knows what the future will bring but one thing is for sure: He who doesn't fight, won't win! In the slot Changing Fate™ 40 you can show whether you are warrior material because you will get in the ring with fighters and compete for the best combos on the reels. If you want to leave nothing to chance take charge of your own winning destiny and collect as many purple glass balls as possible: the more glass balls you win the higher the number of free games which in turn increases your chances to earn Twists!